Take a tour of Jerusalem during the days of the British Mandate: a time of development, governance, and struggle for independence. <?xml:namespace prefix = st1 ns = "urn:schemas-microsoft-com:office:smarttags" />Jerusalem was conquered without a struggle in the winter of 1917 by General Allenby’s army. The British immediately got to work planning and building up the Levantine city along modern European standards. During the years of British rule, the Jewish-Arab conflict intensified and the desire for independence increased. Those stormy days left behind splendid structures, planned streets, and scintillating stories. In touring these eventful times, we will learn about the years of struggle, brave Underground operations, and day-to-day modern life. Among other questions to be answered: What was delivered to the King David Hotel in milk jugs? What were the deepest secrets to be discussed by an important British committee? And how did Underground prisoners escape from a guarded jail in Jerusalem? 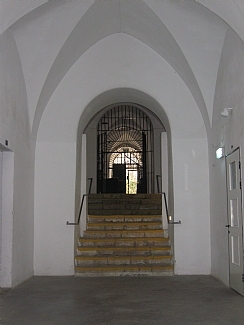 The sites of the tour include the King David Hotel, the “Palace” Hotel, Safra Square, the Central Post Office, and the Museum of Underground Prisoners.